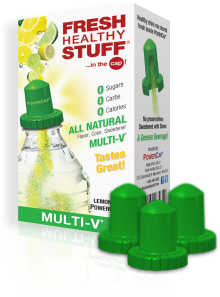 Lemon Lime Multivitamin/Multimineral | Fresh Healthy StuffFresh Healthy Stuff | in the cap! Would you like to enhance a boring beverage? Click here to order Fresh Healthy Stuff Online right now! Fresh Healthy Stuff is coming soon to Kroger. Be sure to find it at one of their 246 locations across the US. Click here to find a Kroger near you.